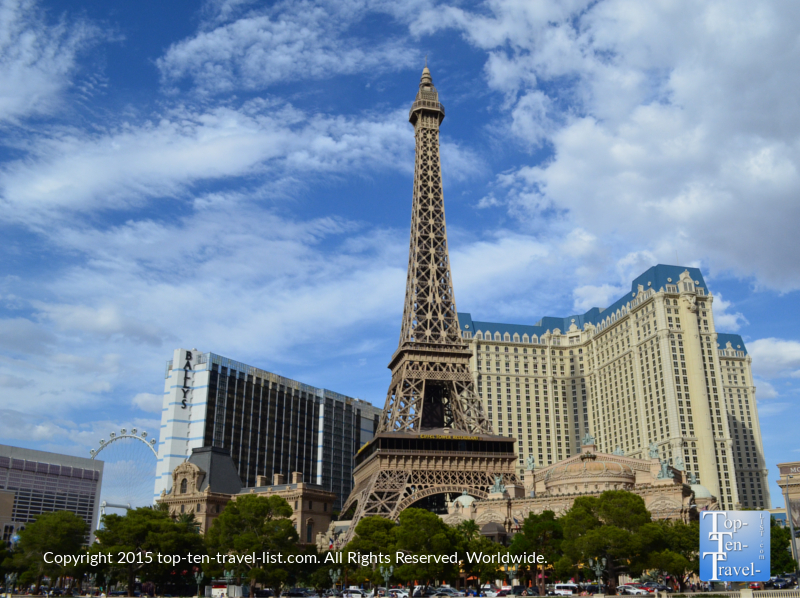 Attraction of the Week: The Eiffel Tower Experience in Vegas - Top Ten Travel Blog | Our experiences traveling throughout the US. The hottest new attraction in Vegas nowadays it the Linq High Roller, which at 550 feet tall, stands as the world’s tallest observation wheel. 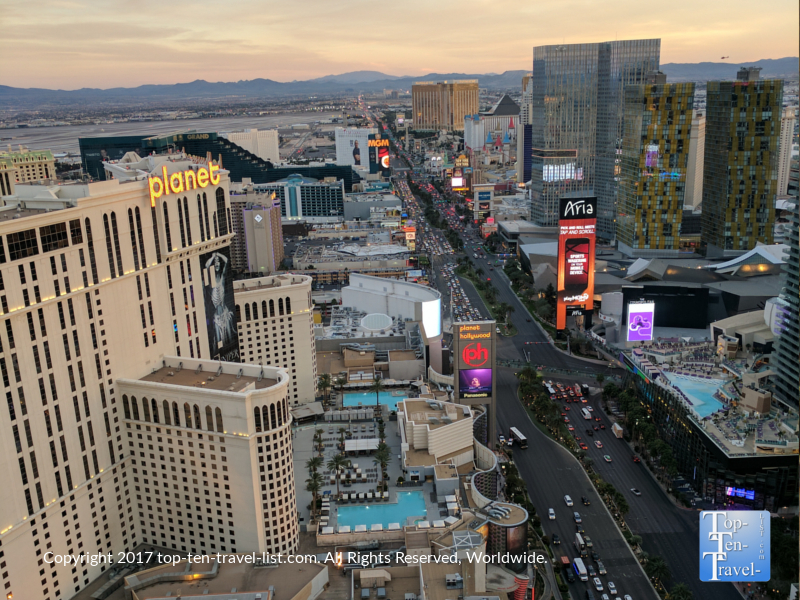 Not surprisingly, this popular Strip attraction offers the top views in town, albeit at a high price -$32 per person at night! A cheaper alternative experience which offers just as fabulous views is the classic Eiffel Tower Experience, where you will take a glass elevator up the famous replica to an observation deck 460 feet in the sky where you will be surrounded by 360 degree views of the fabulous Las Vegas Strip. 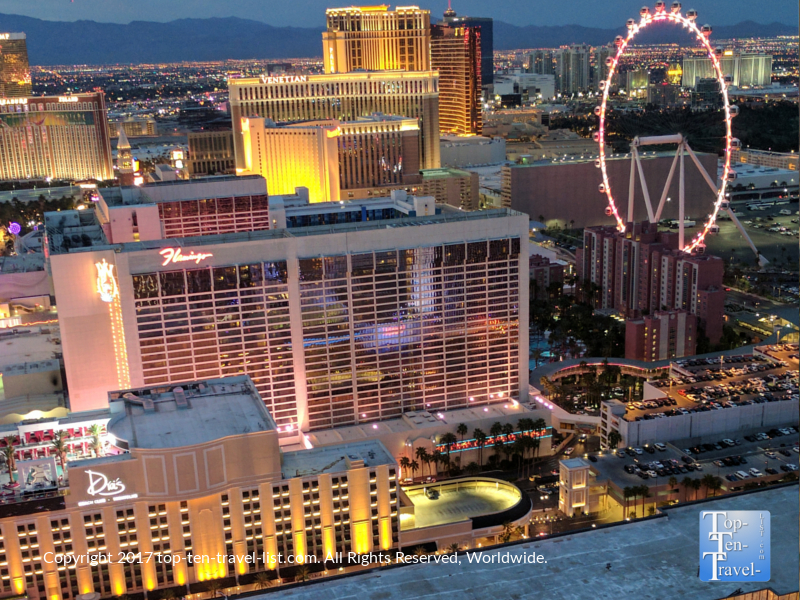 Once you arrive on deck, stunning bird’s eye views of The Strip surround you in every direction. The best perk of all is the one-of-a-kind front row view of the fabulous Bellagio Fountain show. Because the show runs every half hour, you will never have to wait long to see a show, no matter when you plan your visit! 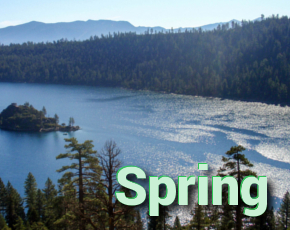 The best time to plan your visit is just prior to sunset, where you will be treated to gorgeous views of the sun setting over the Nevada mountains. 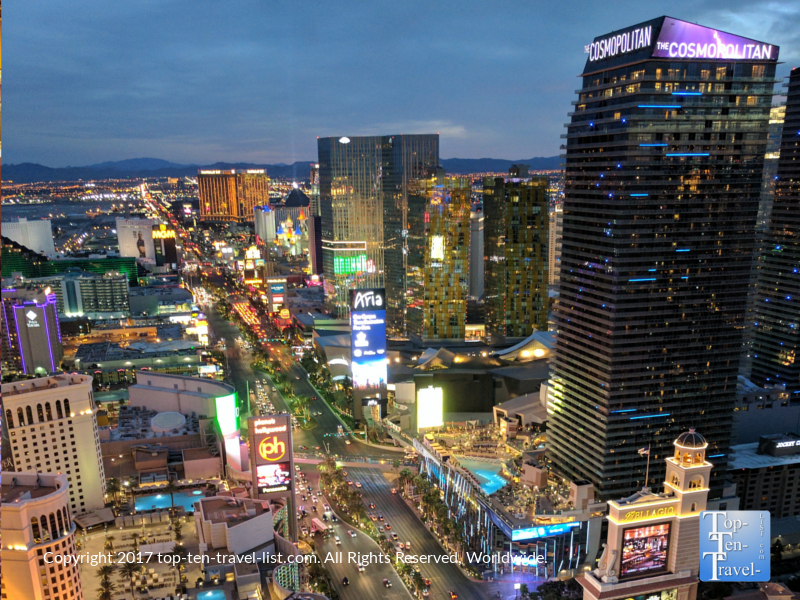 Just 15 or so minutes later, you can enjoy the dazzling nighttime views of The Strip. Although the observing area is all caged in, there are numerous little slots where you can squeeze in your camera for some pretty good pictures! 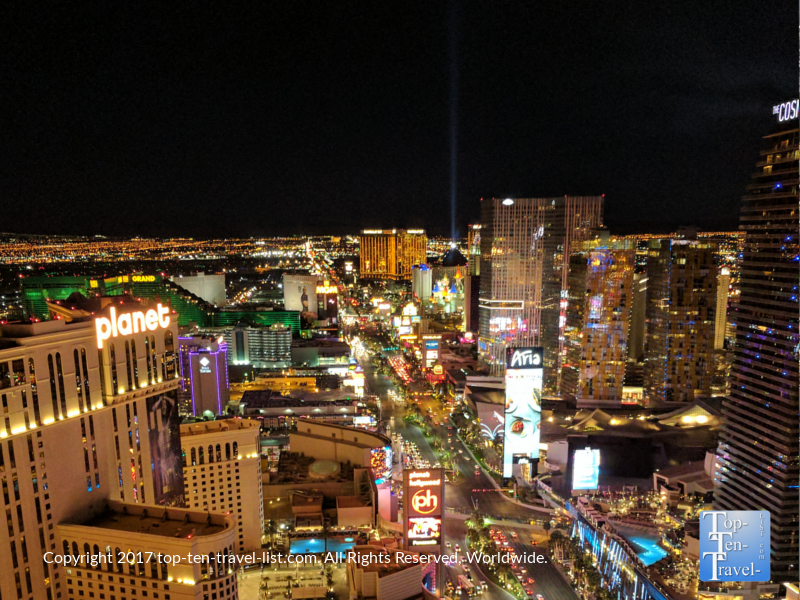 It’s pretty cool to observe all the craziness of The Strip from so high in the sky-everything seems so peaceful 46 stories up! 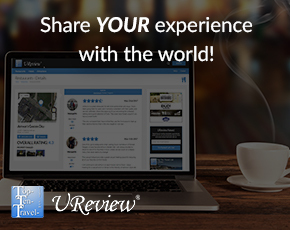 Compared to the $30+ Linq night tickets, the Eiffel Tower Experience is just $20. And, discount tickets are almost always available at Tix 4 Tonite ($11 per person give or take) as well as Groupon (2 for 1 deals frequently appear). 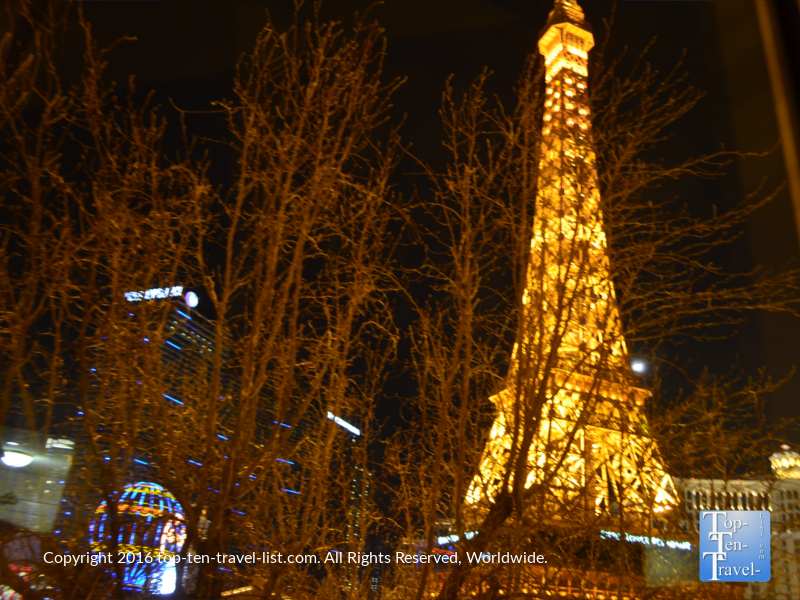 Besides the affordability, The Eiffel Tower Experience has many other benefits, namely that you can leave whenever you feel like it by simply taking an elevator down as opposed to waiting for the entire Linq cycle (about 40 minutes). Also, it never gets too crowded or congested as the deck only holds so many people. In terms of relaxing and/or romantic things to do on The Strip, the Eiffel Tower Experience is one of the better choices. 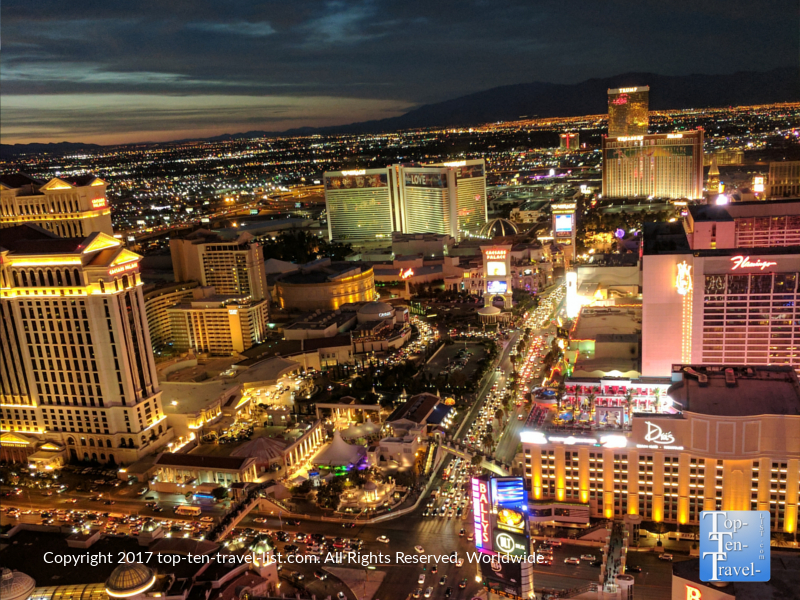 Even when surrounded by so many tourists, the dramatic jaw dropping views more than make this experience one of The Strip’s prime date night destination. 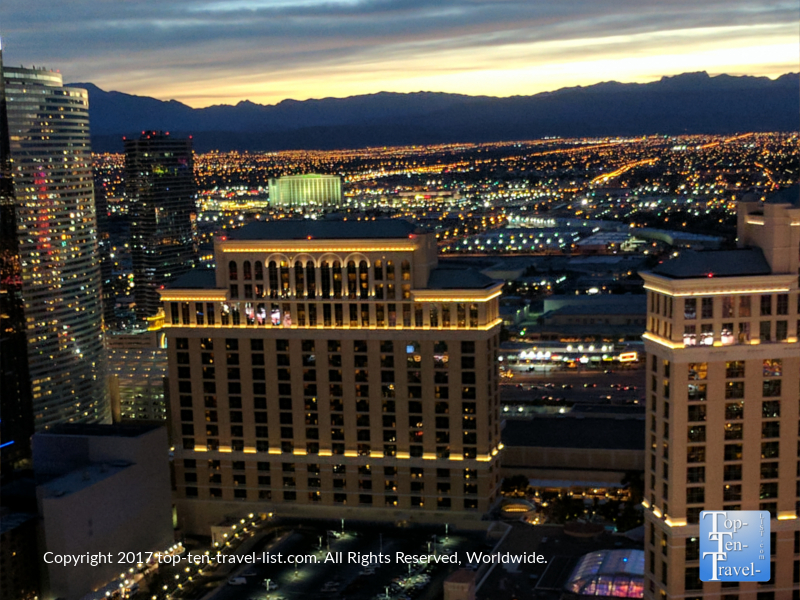 You really feel as if you are on top of the world when towering so high above all the massive casinos! 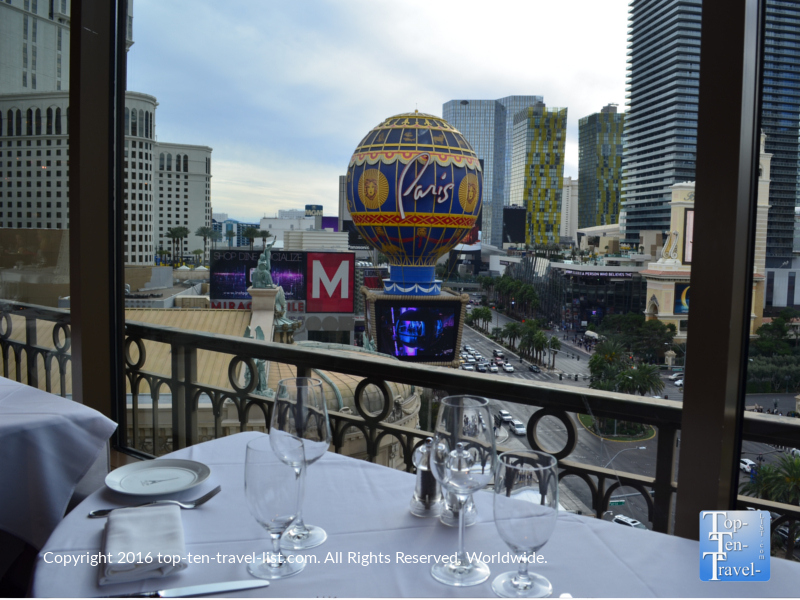 For a truly memorable night out, make reservations for dinner at the Eiffel Tower Restaurant. This gorgeous French restaurant located on the 11th floor of the Paris hotel is one of the top choices in Vegas for dining alongside amazing Strip views. 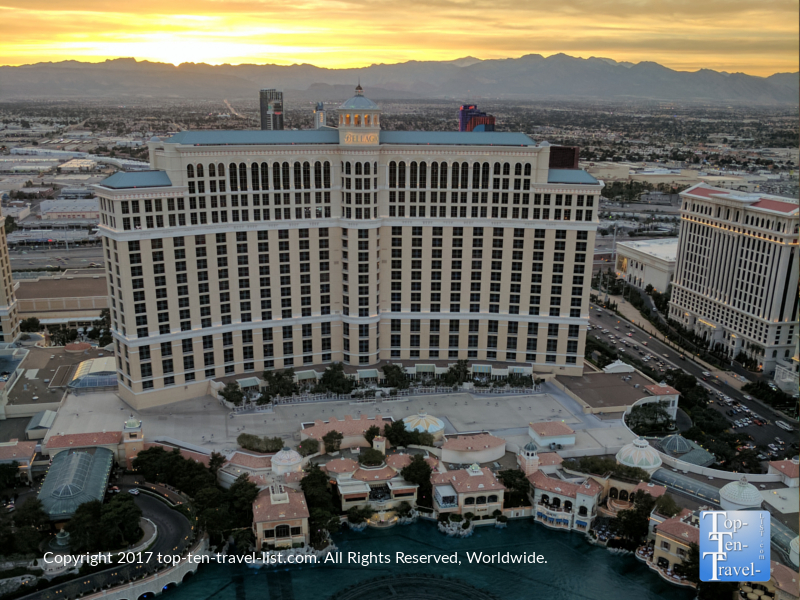 With floor to ceiling windows overlooking The Strip, a central location, and direct views of the Bellagio fountains, there really is no better choice for a date or celebratory occasion. And the food and service are pretty darn good too! In terms of low key and romantic activities on The Strip, The Eiffel Tower Experience accompanied by dinner at the Eiffel Tower Restaurant, definitely is one of the best of the best. The gorgeous Vegas Eiffel Tower replica is just one of many attractions that proves man made wonders can be just as magnificent as natural wonders!